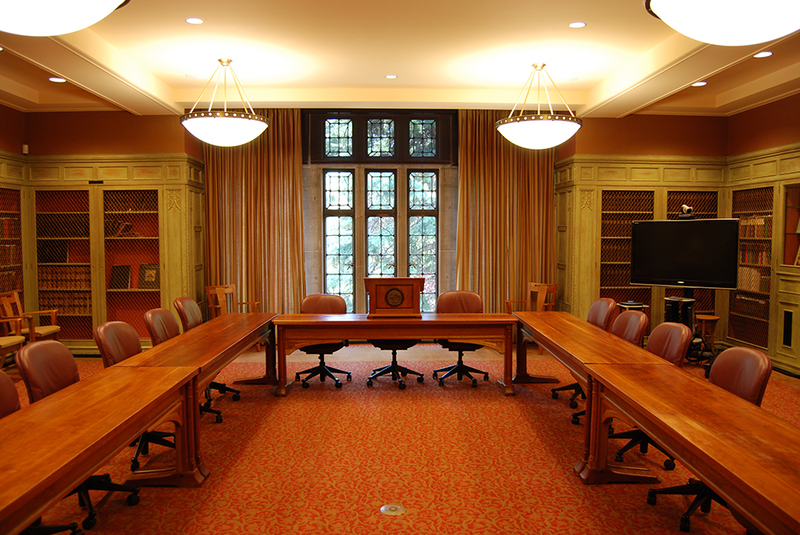 Interior design responsibilities for multiple areas in the Mary Reed building included: President and Vice Chancellor’s offices, Payroll Department, Renaissance Room and the DuPont Room featured in these photographs. 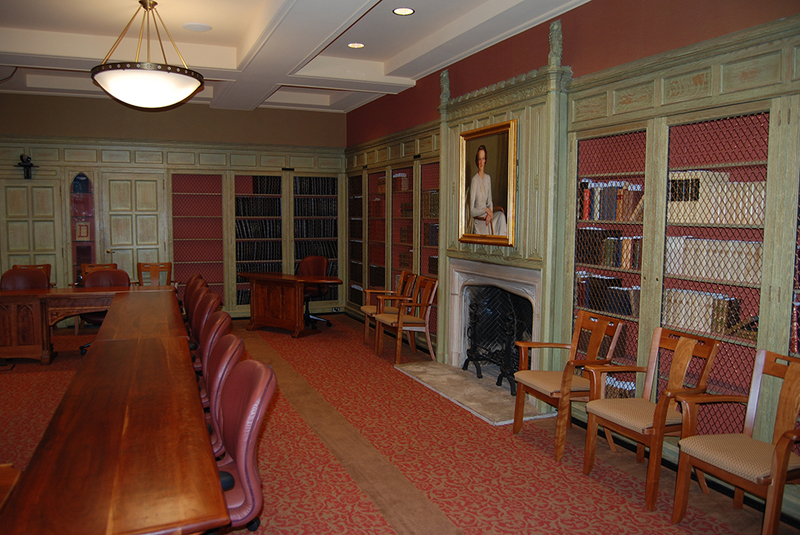 The DuPont Room renovation, a collaboration with the University Architects, resulted in a functional, aestheticaly pleasing space, respectful to the historic interior architecture. Responsibilities included finishes, furnishings, lighting input and window treatments.